The Comic Book Lounge + Gallery is once again a proud community partner for the Reel Asian Film Festival. 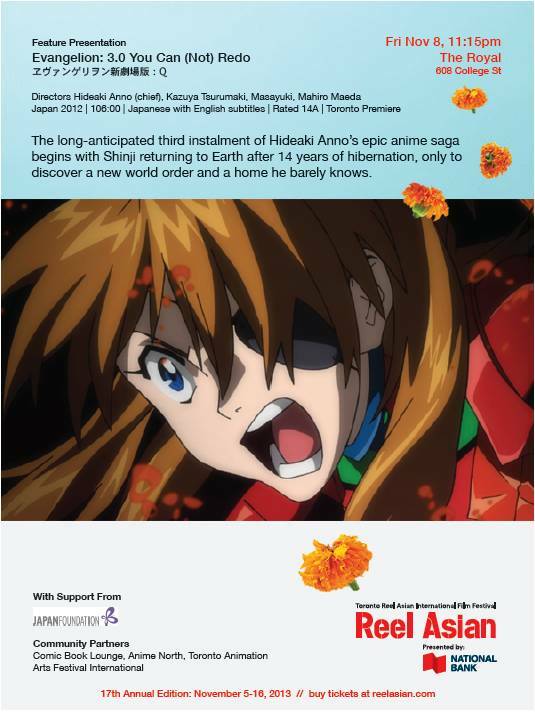 We are a Community Partner and one of the sponsors of the screening of Evangelion: 3.0 You Can (Not Redo) that will be held on Friday, November 8th at 8pm at the Royal Theatre (608 College Street). For the full schedule of the festival, please visit: reelasian.com.